Would you like class to be more relevant to your students? 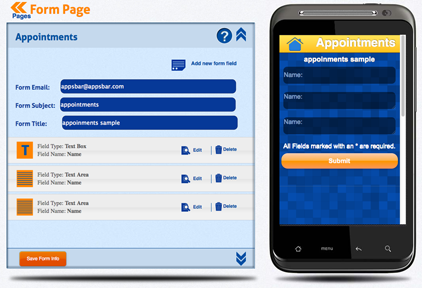 Would you like for students and parents to be able to access important school information from the touch of the button? If you are a teacher or school administrator, we can show you how to build a mobile app for your school or classroom so students can access valuable educational information on smartphones and tablets. appsbar’s totally free app maker allows you to create an app with no experience necessary in about an hour. Your app will become a native Google Play app, plus an HTML5 app that is compatible with Android, iPhone, Windows Phone and Blackberry. 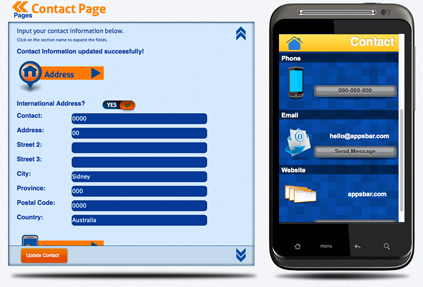 Your app will be downloaded and appreciated across all mobile platforms. Our free and user friendly app maker guides you through the step by step process of building your own app, all that is required is for you to input your class and school information. We have included seven pages that you can use and of course you may add or subtract any page you like. The About/Syllabus Page is designed to give basic information. As teachers and administrators, you can share general information with students and parents through text and images. Administrators can include information about when the school was founded, history, facts and accolades. Classroom teachers can include a class description, necessary book titles, or even a course syllabus. 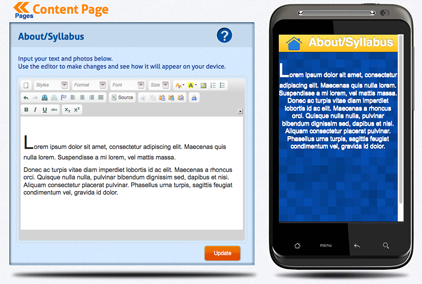 The About / Syllabus Page gives your students and parents the information they need to know at the touch of a button. The Professors Page is a menu style page designed for you to post a professor’s name and then his / her department or the classes taught. After you add multiple professors, you can group them by department or in alphabetical order. This information can prove invaluable to students and parents when trying to contact a specific professor or schedule a meeting. 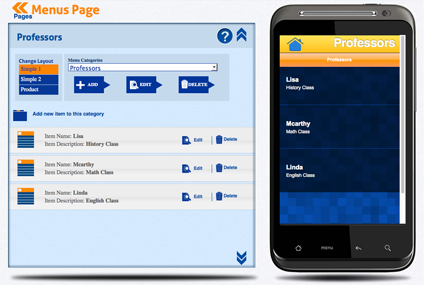 Teachers and professors, you can provide basic information about yourself and the courses you teach on this page with our free app builder. Let your students and parents know about upcoming events or assignments through the Schedule Page. This feature is possibly one of the most valuable pages for schools and teachers. All administrators and teachers know how hard it is to get information out to parents and students in a timely fashion, but this not only lets them know, but gives them a place to go and check for updates about time/schedule changes as well. 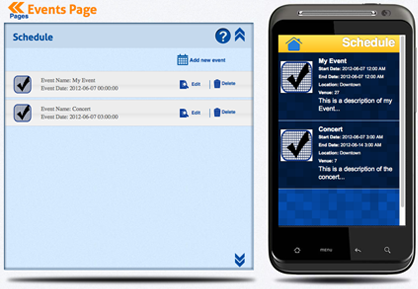 Just plug in the date and time of your event, and it will be displayed in this page for easy access by your parents and students. The Appointments Page enables you to create a form that students can use to be sent directly to the e-mail address you provide. The student can fill out this form, requesting to schedule an appointment with you. This page is adaptable to almost any need you might have. Create a form for homework questions, parent comments, or any other useful request forms that might help your students and their parents keep in touch with you. 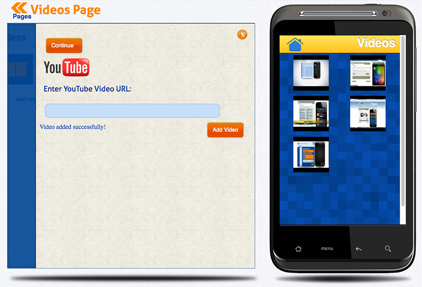 Through the Videos Page, you can share videos from YouTube or in MP4 format with your students and parents. Does your school have a virtual tour? Did you find a great video that illustrates your lesson from the day? Was your school just featured on a news outlet? Want to share a video presentation your students created? No matter what your need, students and parents alike will enjoy this feature on your app and it is a great way to collect useful videos together to promote your school and the education of your students. In this technology-centered generation, being in constant contact is necessary to achieve your goal, your students learning. 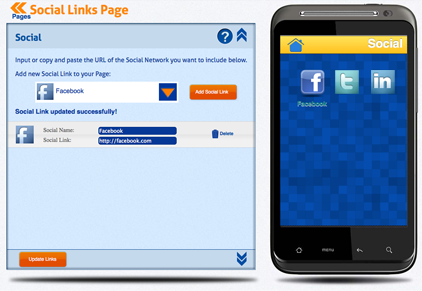 The Social Links Page gives your students and parents instant access to all of your social networking accounts in one, easy to access location. You have spent valuable resources creating, developing, and maintaining the accounts, now give your students and parents instant access to them through your mobile app. The Contact Page contains your basic contact information: school address, phone number, e-mail address and website information. With most smartphones, the app will enable your users to one-touch-dial your number or one-touch e-mail straight from the app, making it easy for them to contact you when needed. The pages don’t have to stop there! With our easy-to-use app creator, you can customize your own pages (or our existing ones) to fit the needs of your educational institution. The possibilities are endless.